A.J. 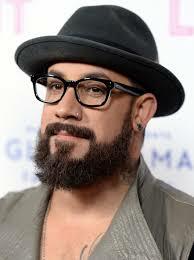 Mclean is an American singer who is best known for being a member of the Backstreet Boys quintet. Despite his popularity as a musician, he actually had his start in dance and actingーwhen he was four years old, his mother enrolled him in dance lessons. Proving himself to be a natural performer, he later began modelling by the time he was five in the early 80’s. Later branching out into singing, McLean took part in several school musicals including that of The Nutcracker. A few years after making his big screen debut in the 1986 horror film, Truth or Dare? : A Critical Madness, he began training as a young actor at the Florida Academy of Drama Arts at the age of twelve. Not long awards, he landed his first role on television in the Nickelodeon series, Hi Honey, I’m Home! (1991). In the spring of 1992, an advertisement looking for members of a new music group in the newspaper caught his eye; auditioning for the part despite having only been fourteen at the time, he later became the first official member of the Backstreet Boys in April 1992. With the group complete the following year, the Backstreet Boys began performing at a number of venues prior to signing a recording deal with JIVE Records in 1994. The boy band later released their self-titled debut in May of 1996; a commercial success, it soon effectively propelled them into celebrity status. One of the best-selling artists in the world, the Backstreet Boys have accumulated countless awards in the industry throughout their time together including five Billboard Music Awards, three American Music Awards, four World Music Awards, and three MTV Video Music Video Awardsーnot to mention they’ve also been nominated for the prestigious Grammy award seven separate times! Aside from his musical accomplishments with the boy band, McLean has also embarked on a solo music career in the more recent years. In January of 2010, he released his first debut album entitled Have It All under Avex Records; it was eventually followed-up with another release, Naked in September of 2016. On top of all that, he has also been featured as a guest in multiple television talk-shows over the years including Hollywood Squares (2002), The Sharon Osbourne Show (2004), Dr. Phil (2005), The Graham Norton Show (2007) and The Oprah Winfrey Show (2010), amongst others. In 2009, he also starred in a few episodes of the music reality series, The X-Factor. So what has the singer of Backstreet Boys fame been up to as of late? Has he taken a back seat in recording or acting? What happened to A.J. McLean? Where is he now in 2018? Born on January 9, 1978, in the Florida city of West Palm Beach, A.J. McLean (Birth name: Alexander James McLean) is the son of Bob and Denise McLean; he is of German, Scottish, English, Irish and Cuban descent. Growing up as an only child (his twin siblings had died prior to birth), he was raised majorly by his mother and maternal grandparents as his parents had split up when he was only a toddler. As a young boy, McLean loved to dance; his mother eventually enrolled him in dancing lessons when he was four years old. Shortly after beginning his hip hop, jazz and ballet training, he began modelling for J.C. Penny when he was five. A performer even at school, he appeared in several school plays including a production of Snow White and the Seven Dwarfs, in which he portrayed the part of Dopey. In his pre-teen years, he started to take part in musicals such as The King and I and The Nutcracker. When he was eight years old in the mid 1980’s, he landed his first professional acting role in the 1986 horror flick, Truth or Dare? : A Critical Madness. From there, McLean eventually relocated to Kissimmee, Florida with his family to pursue further singing and acting opportunities. Wanting to improve his acting, he enrolled himself in an acting school, where he underwent training for four years; during that time, he also enjoyed being a part of his school’s drama club and modelled briefly. Five years after making his debut on the big screen, McLean landed a part in the Nickelodeon comedy, Hi Honey, I’m Home! in 1991. When he was in junior high, he was cast as a character on the television series Welcome Freshmenーit marked the first time that began working with both the Disney Channel and Nickelodeon. 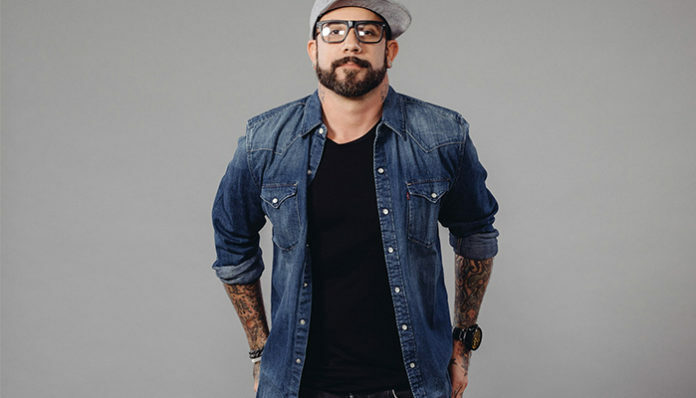 In the spring of 1992, McLean saw a musical opportunity when he an advertisement for a band member caught his eye in the newspaper; going for it, he attended the auditions and soon became the first member of a group that’d later become better known as the Backstreet Boys. A student at Osceola High School at the time, McLean eventually finished his high school studies with the help of a private-tutor. In May of 1996, McLean and the rest of the group released their self-titled debut album, Backstreet Boys in Europe, Canada and Asiaーit was not released in the United States at the time. A huge success upon its release, it quickly established their place as a popular boy band in the world. Loaded with thirteen pop and dance pop tracks, the album contains many of their signature songs including I’ll Never Break Your Heart and Anywhere for You. Upon being made available, it soared to the number one spot on multiple charts around the globe; not surprisingly, it also attained multiple platinum status in several countries including Switzerland, Spain, Austria and Argentina. Despite the level of success which they achieved, it wasn’t until the following year that the Backstreet boys released their eponymous debut album in their native US. In contrast to the one released in 1996 however, it boasted an entirely different track-list which included songs from both Backstreet Boys and their second international album release, Backstreet’s Back. Quickly becoming a best-seller in the country, their US debut album reached an impressive number four on the Billboard 200. Praised by critics, the American release was given an “A-” rating from music critic Robert Christgau and a four star rating on Allmusic. As of April 2001, the album has been certified 14x Platinum by the RIAA for exceeding over fourteen million in sales. At the peak of their fame in the late 90’s, McLean and the rest of the Backstreet Boys released their third and best-performing album to date, Millennium in May 1999. A highly anticipated follow-up to their US debut, it was also their first album to be released both internationally and in the United States at the same time. Nominated for five individual Grammy Awards, the album produced four singles that went on to reach the top forty including Larger Than Life, I Want it That Way, The One and Show Me the Meaning of Being Lonely. If their talent as a boy band was ever questioned, Millennium put an end to that; in fact, it sold close to eleven million copies in 1999 aloneーmaking it the album to have shipped the most units that year. Unsurprisingly, it peaked at number one in the United States, as well as seventeen other countries; it has since sold over 13 million copies in the US alone, which has earned it 13x Platinum accreditation from the RIAA. Nearly a year after the arrival of the new millennium, they released their next album entitled Black & Blue on November 21, 2000. Although it didn’t match the commercial success of their previous efforts, it did go on to sell more than five million copies worldwide within the first week of release. Noted for its slightly more mature sounds, the album consisted of thirteen songs; one of whichーThe Answer to Our Love, was co-written by all members of the Backstreet Boys, including McLean. Out of its track-list, three were eventually produced as singlesーMore Than That, The Call and Shape of My Heart. To date, over twenty-four million units of Black & Blue have been sold across the world. Over the next years, the band continued to put forth four more full-length albums including Never Gone (2005), Unbreakable (2007), This is Us (2009) and In a World Like This (2013). Although he had previously embarked on a solo tour under his alter-ego, “Johnny No Name”, it wasn’t until January 2010 that McLean released his first solo album, Have It All. Working with a number of big-name producers such as Dan Muckala and Kristian Lundin, the artist himself described it to be “a cross between rock, funk and little bit of dance.” Release under Sony Music Entertainment in the United States, it showcased twelve separate pop rock tracks, most of which were co-written by McLean himself; a few titles from the disc include Teenage Wildlife, Drive By Love, I Hate It When You’re Gone and I Quit. While the album did not manage to chart in the United States, it did go on to peak at within the top twenty in Taiwan and at number thirty-one in Japan. McLean and his wife, Rochelle Deanna Karidis are expecting baby number two! The happy news are just recently announced by the Backstreet Boys singer via Instagram this Labor day holiday. The couple married in Beverly Hills back in December of 2011 and welcomed their first childーdaughter, Ava Jaymes McLean into their family on November 27, 2012. Judging by the use caps lock and exclamation marks, it’s probably fair to say that McLean is more than excited about welcoming another family member into their homeーand really, who can blame him for that? This year, the Backstreet boy singer has once again hit the studios for his upcoming album entitled, Nakedーit will be his first new release since Have It All back in 2010. Although it was originally set for a 2016 release, it appears to have been delayed as McLean has announced that it is still under works. Be sure to stay tuned to his official website for the release date! Speaking of new projects, the artist has also just starred in a post-apocalyptic horror movie called Dead 7, which was released in theatres in April 2016. Directed by Danny Roew, the film starred Nick Carter (who also served as a co-writer), Joey Fatone and Carrie Keagan and McLean himself, and revolved around a group of gunslingers who attempted to defeat and rid a small community of a zombie plague. If you’d like to stay up to date and connected with the boy band star, you can do so by following A.J. McLean on social mediaーyou can find him his online presence on Twitter (@skulleeroz) as well as on Instagram (@skulleeroz). Don’t forget to also drop by his official website and Facebook page for some of his latest news while you’re at it!